At International Diocesan SchoolVirgen de Gracia in Granada we offer a before-school care service for pre-school/infant school and primary school students. 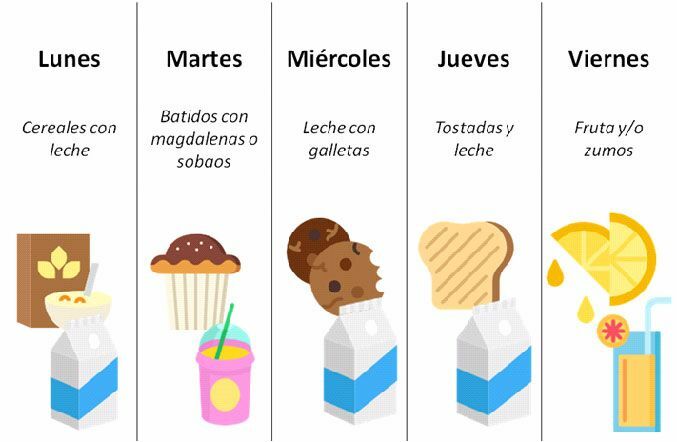 This service is designed for students whose parents have a schedule that forces them to take them to the centre very early.In the morning we offer a varied breakfast to the students. You can book the before-school careany day. We know that many unexpected events can occur in the daily life of families. For this reason, we offer the possibility of letting your child go one day. How is the menu in the before-school care service? We continue the week and sweeten it on Tuesdays and Wednesdays with milkshakes and muffins, and milk and cookies. When Thursday arrives, we offer toasts and milk, a very homemade breakfast so your children feel at home. The toasts that we offer can be, oil, butter, jam, pâté, tomato, cocoa butteror sobrasada. To finish the week, we offer a natural and healthy breakfast. With the possibility of taking fruit or juices. Before-school care service opens its doors from 7:30 to 8:45. How do I enroll my child in the before-school care service of the International Diocesan School Virgen de Graciain Granada? To enroll your child in the before-school care service you will have to fill out this form and deliver it at the school or send it to the email.